It’s a classic, cult comedy. We literally swear by it. 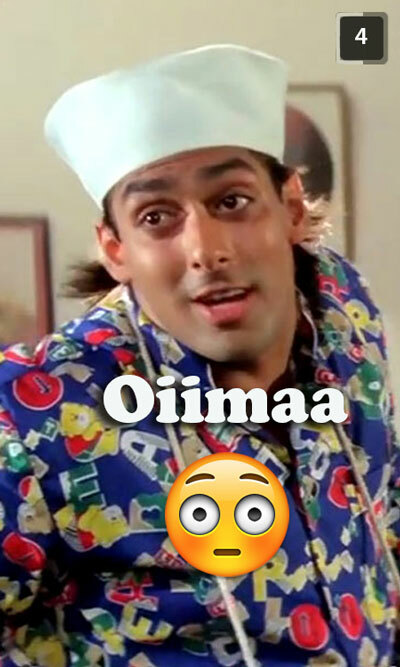 It’s our pride when it comes to bragging Bollywood’s comic timing. We still watch it with the same interest and love like we always have. 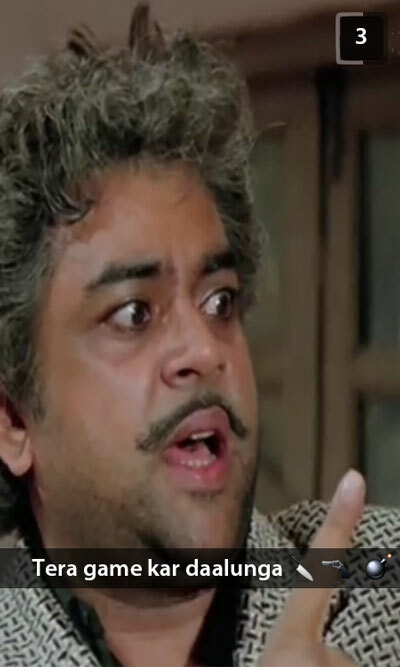 Andaz Apna Apna is not just a film; it’s the solution to every mood swing and problem. The film, it’s script, the characters, their comic timing and most importantly the dialogues, everything is a rage even today. Imagine how would it be if these iconic characters were on Snapchat? Hilarious, right? That’s exactly what we thought! The dialogues of the film and their delivery are so fantastic that we just couldn’t hold ourselves from posting this one. 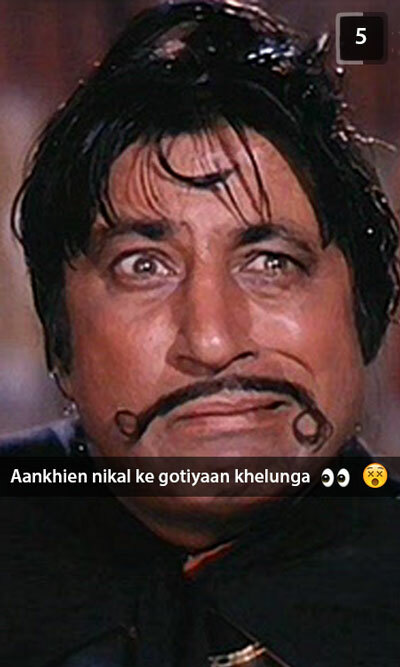 Here’s presenting 11 hilarious Andaz Apna Apna Snapchats. 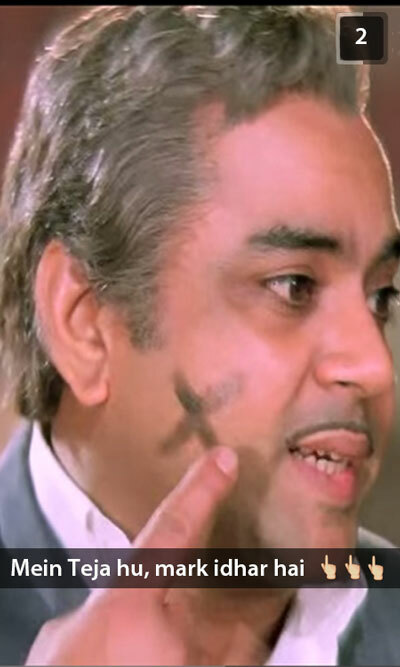 Some of you may not know this but Andaz Apna Apna was a flop when it was released. And look at the way we are appreciating it today! 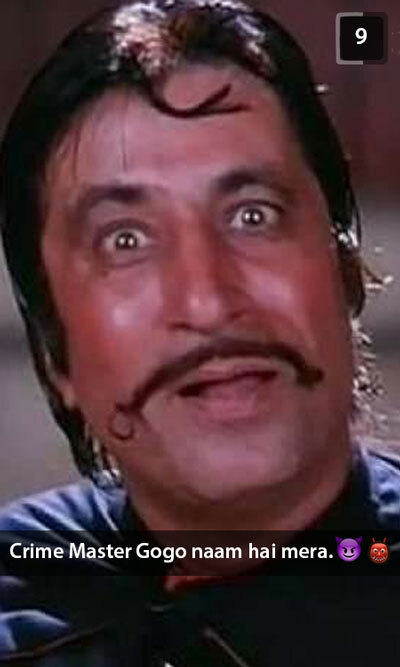 This one is another classic example on how tables turn in the theatres after Sholay. 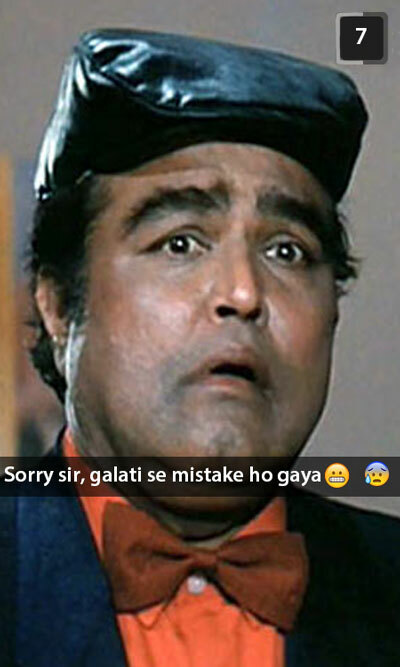 Andaz apna Apna Snapchats will get you to watch the film again and dearly hope someone makes a second part of this insane comedy that won our hearts! Fun Fact According to an interview by Aamir Khan on a popular chat show, he was so annoyed by Salman during the film’s shoot; he decided never to work with him again. Fun Fact Salman and Aamir have expressed their desire to produce a sequel of the film. 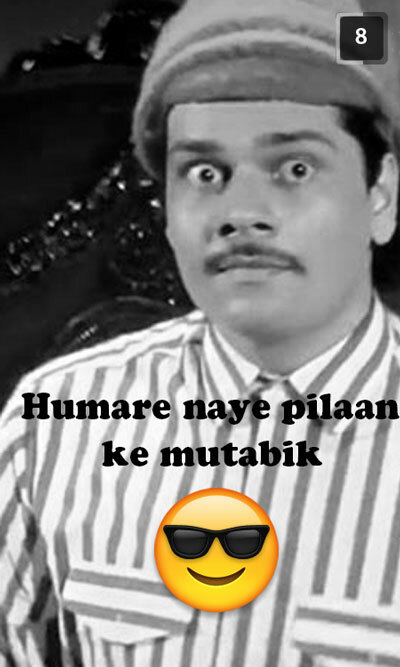 Fun Fact Andaz Apna Apna was a big flop. It is a cult film today. We have no idea why it was a flop in the first place! Fun Fact Kareena Kapoor was a kid back then. She would often visit the set and play with the actors. No wonder Aamir and Salman find it weird to romance Kareena on screen now. Fun Fact When the film released, the leads were established stars and the film’s box-office performance was a big setback in their careers. All of them had high hopes for this film. If the rumors about the sequel are true, we just can’t wait!